I recently had the pleasure of getting to know Michelle from Iron & Twine on our blogger retreat to Tybee Island. This very talented girl is a ray of pure sunshine, never without a smile on her face! 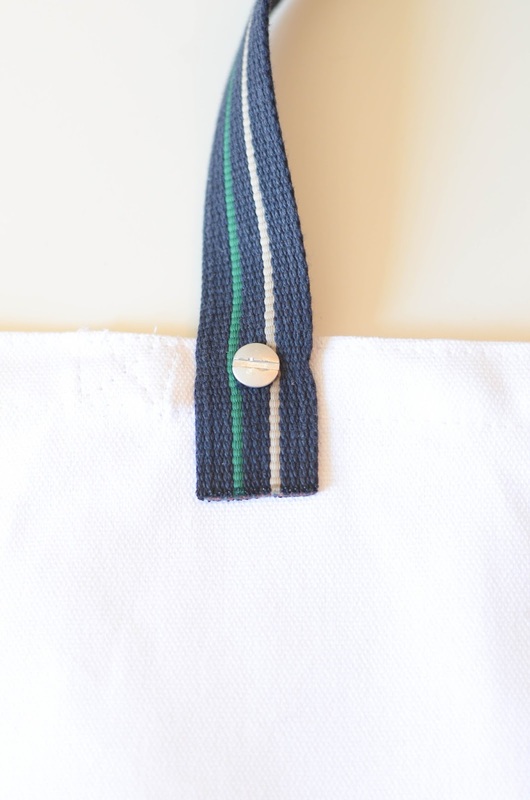 Today for Feature Friday, Michelle is going to show us how make a customized and cute Belt Strap Tote. 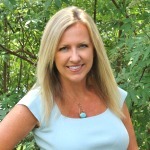 Welcome Michelle! Hello new friends! 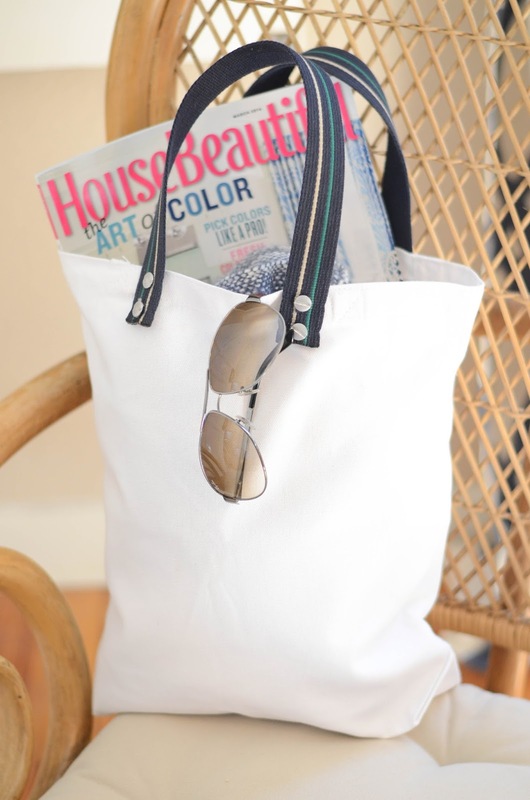 I’m so thrilled that Kim invited me today to share one of my new, favorite, DIYs ~ a Belt Strap Tote! 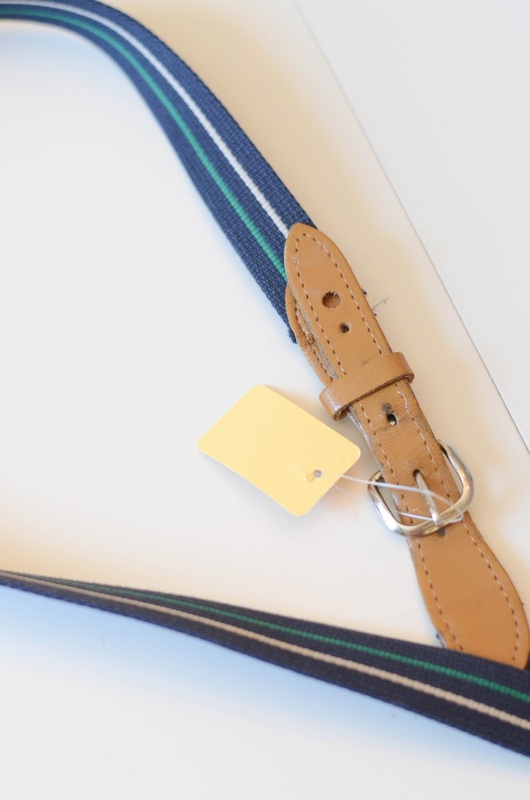 I love finding practical uses for old items and currently I’m obsessed with thrifted belts! For just a couple bucks you can typically find great colors or quality leather. 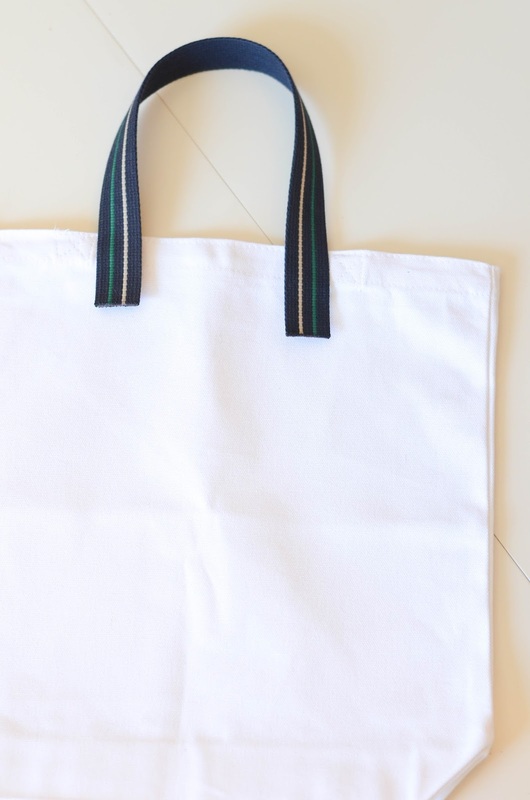 And by using an already made tote, it’s a simple way to customize and upgrade a boring bag. 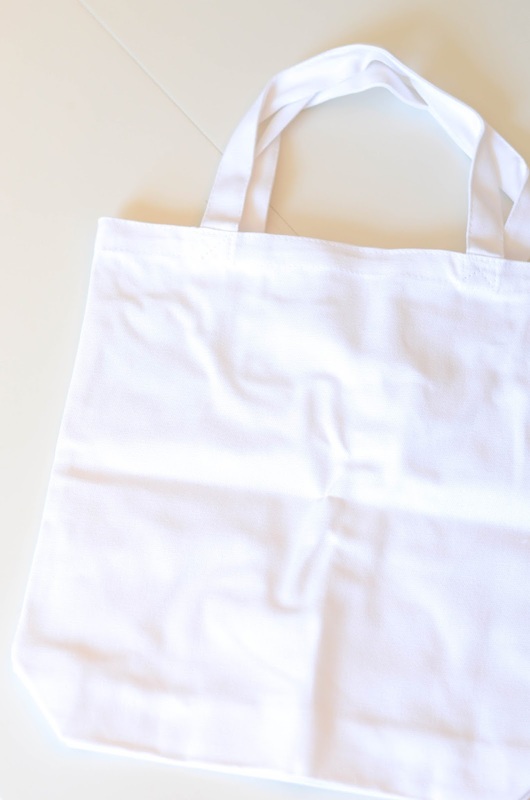 Perfect for picnics, farmer’s markets & flea markets, tote bags are a personal Springtime favorite! *For $5 this one is the perfect size! 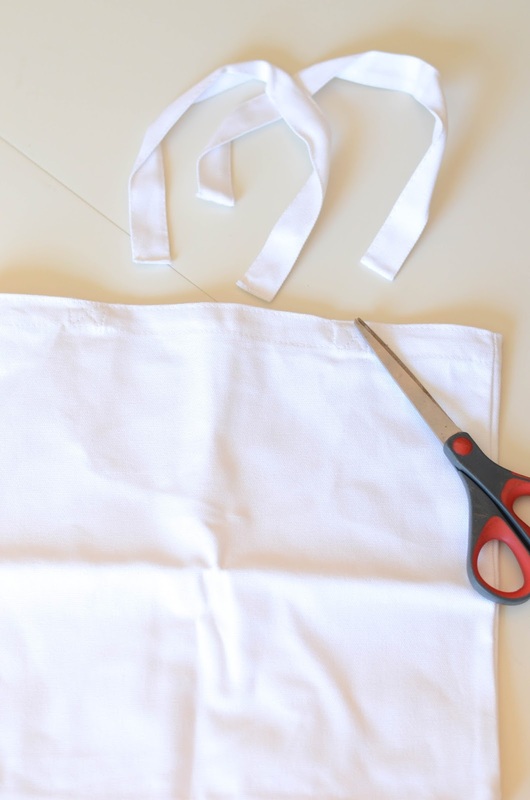 Take your tote and cut off any existing handles. 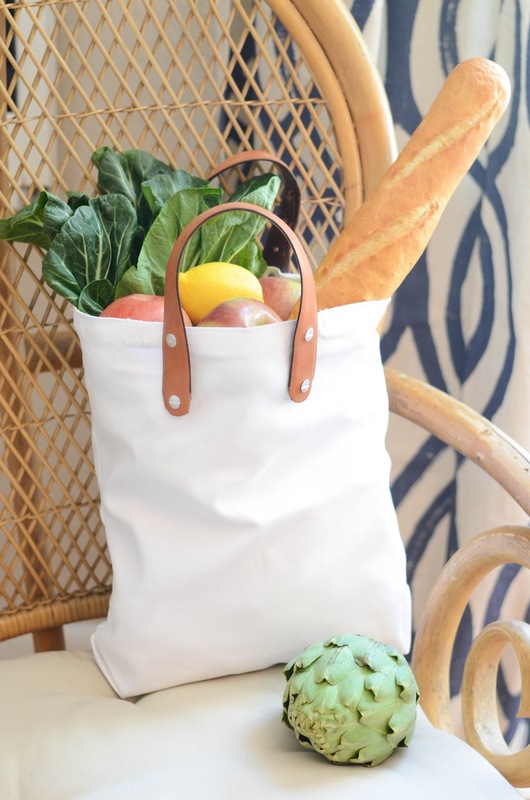 If your bag is as wrinkled as mine, now’s a good time to iron it. 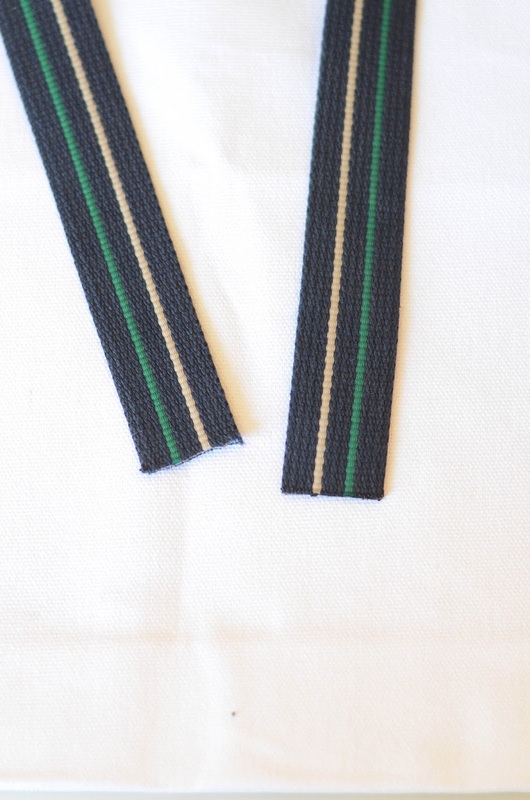 Take your belt and cut two handles of equal length. 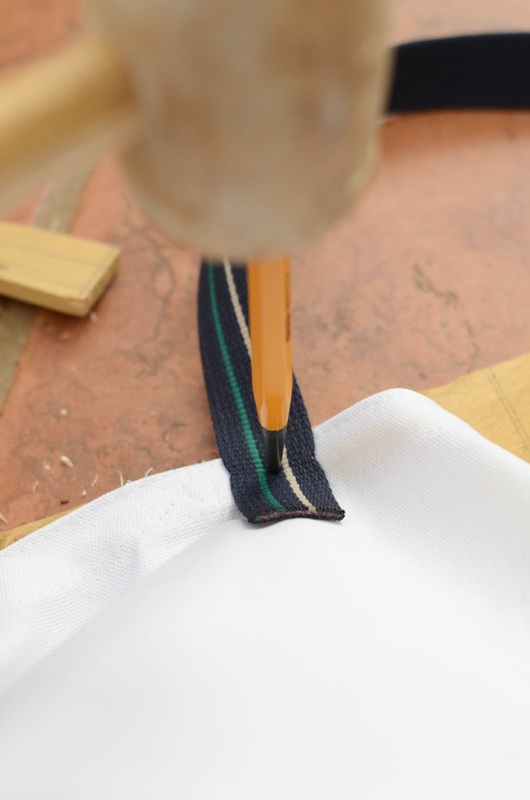 *Helpful Tip: If cutting nylon be sure to burn the edges to prevent fraying. From there, decide the placement of your handle, and mark with a pencil if needed. 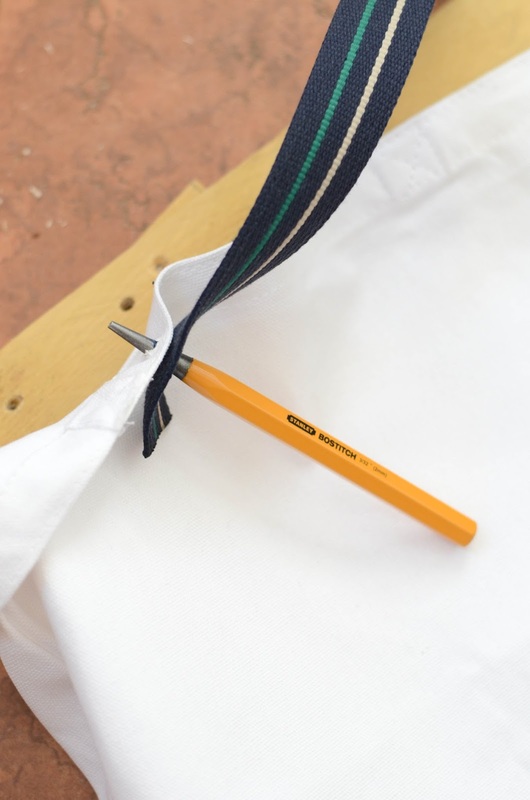 *Be sure to do this on a hard surface and it’s essential to have a piece of wood under your tote for the starter punch to compress into. 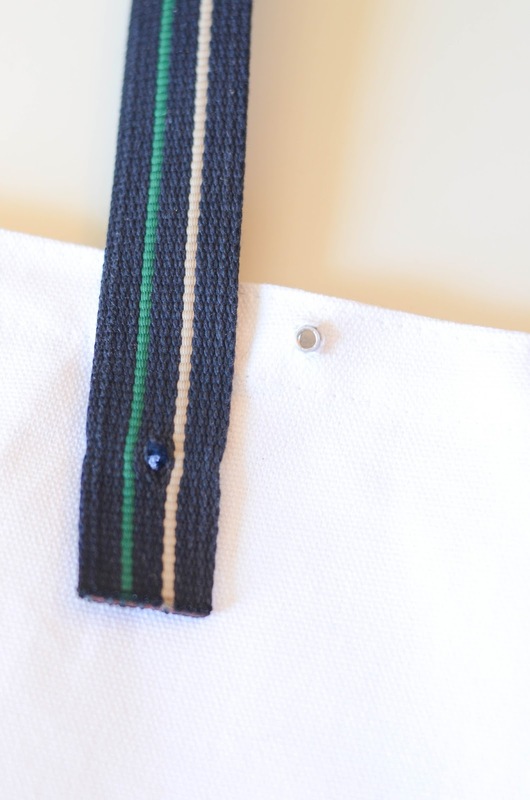 From there simply screw your binding posts together to attach your belt to your tote. 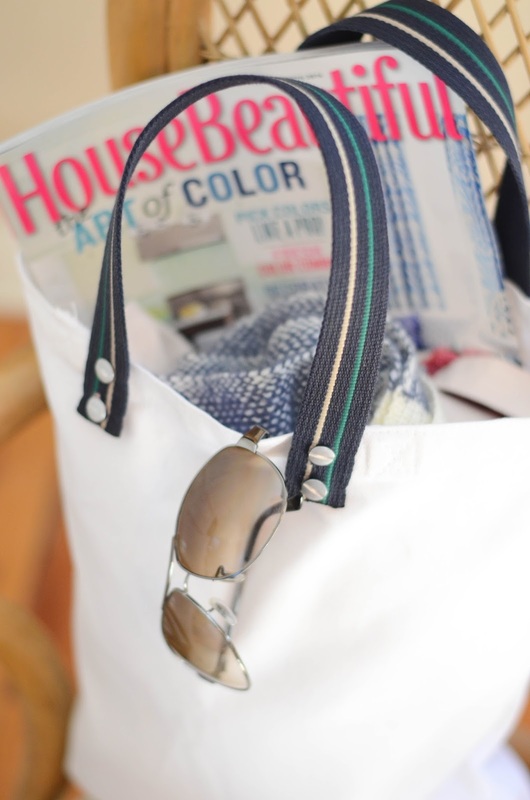 So whether you’re headed to the beach or looking for a new market tote, I hope this inspires you to go out and customize one of your own! Thanks Michelle for guest posting! Be sure to check out her beautiful home tour, customized Ikea Expedit Shelving Units and her clever Under the Sink Storage. You can connect with Iron & Twine on Facebook, Pinterest, Instagram, and Twitter! Oh wow Kim!! I LOVE this idea! I’m gonna make one this weekend. Thanks for sharing this! Um, I’m in love with her house! Going to check it out now! 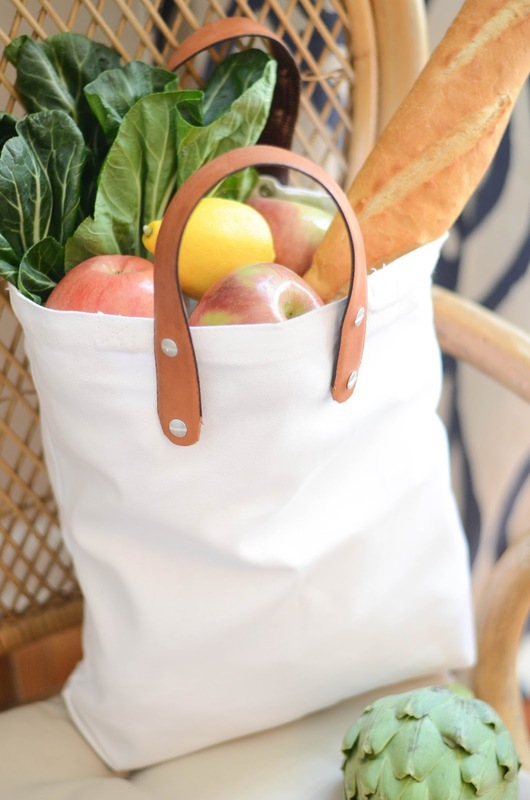 What a fantastic way to update a plain tote!